i love leighton!!! she's so gorgeous!! I'm with you, doll... I think Leighton tends to pull it off better. The last dress is a toss-up for me, though! Leighton Meester, Leighton Meester, Leighton Meester. Girlfriend can do no wrong when it comes to fashion. She has that look that can pull anything off. Thank you for your comment! I like the chances Leighton takes though not many agree with her. But she's like the actress toned down virgin of Lady Gaga hehe. And sorry to disagree but I do like leighton in the Jenny Packham dress but I'm bias when it comes to a curvier girl in a dress LOL. Hi, I found you through nialangleyspeaks.blogspot.com and I'm glad I did. I love your site. Referring to this post, I believe that Ms. Meester has definitely made a name for herself as a fashion icon. She has a fun and flirty style with a sweet personality to match. Great post! Great post! I'm happy to say that Leighton wears it better! she always looks fab in anything she wears. I definitely love the last look, the dress is amazing! She wore these dresses much better than others with the only exception of Kate middleton! great style from this lady. HI. My 1st time on ypur blog. I agree with you, Leighton really dresses good. Love that 1st photo. And the other one at the bottom, better than Kate! Nice post ! Thanks for your nice comment on my blog ! I agree with you, in all except the Jenny Packham dress, Leighton looks way better! My favorite is the dress by Giambattista Valli, love how she looks there! oh come one, leighton wins of course! :) i so love her, so love leighton meester :) great post! Always Leighton! She's so freaking amazing! Leighton of course! I love her! 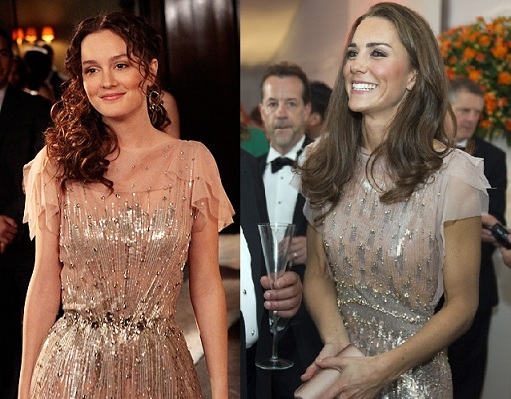 Well, this Leighton chick certainly does seem like a fox, but I agree, Kate wins on the third dress. thank you! i love Leighton Meester, so obviously, i loved this post! .... i prefer kate middleton!!!! lols i just noticed alot of her looks arent her looks. but she always looks cute. She always looks great ! she definately wore these best ! new post : " fall for dummies"